In 2015, Entrepreneur Magazine dubbed the year “Year of the Hearables.” With the advent of portable electronic devices, they actually were referring to hearing aids. Hearing aids have come a very long way from the bulky, flesh-toned devices. These days, most hearing aid manufacturers offer sleek, discreet, and sophisticated hearing instruments. They are equipped with incredibly fast sound processing platforms, automatic channels, and wireless compatibility with iPhones and Androids, as well as other similar personal electronic devices. Here we round up some of the best Made for iPhone hearing aids on the market. ReSound’s LiNX 3D hearing aid is equipped with New Binaural Directionality II and Spatial Sense, to support the brain’s natural ability to process sound. They both locate and identify the source of sound within a 360-degree radius of the hearing aid wearer, helping to situate the wearer within their surroundings. The LiNX 3D also has a discreet design and sleek silhouette, with SureFit to improve listening comfort and sound quality. 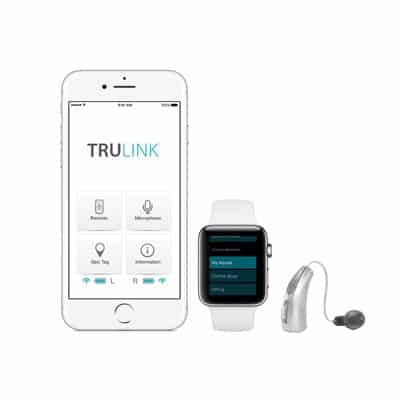 Through the ReSound Smart App, LiNX 3D wearers are able to connect wirelessly to their smartphones. This allows wearers control over their hearing aid features and volume. It also opens up a world of accessibility by streaming phone calls, music, and media directly to the LiNX 3D hearing aid. LiNX 3D wearers are able to switch between features directly on their phones, giving a sense of discretion. The Smart App also allows wearers to select specific sounds in customized sound environments, such as wind or noise. LiNX 3D hearing aids are available in a number of styles and colors, from in-the-ear to invisible-in-canal to receiver-in-canal to behind-the-ear. They treat a wide range of hearing loss, from mild to severe. LiNX 3D also provides built in tinnitus management for those who experience ringing of the ears. The Halo Made for iPhone has been improved from its previous iterations. Currently, Halo hearing aids offer advanced noise reduction technology and directional microphones that reduce noise and make speech easier to hear in challenging environments. Additionally, Halo hearing aids offer feedback cancellation and comfortable listening. Most importantly, as a Made for iPhone hearing aid, the Halo enhances phone communication, music, and media by streaming these sounds directly from the smartphone to the hearing aid. 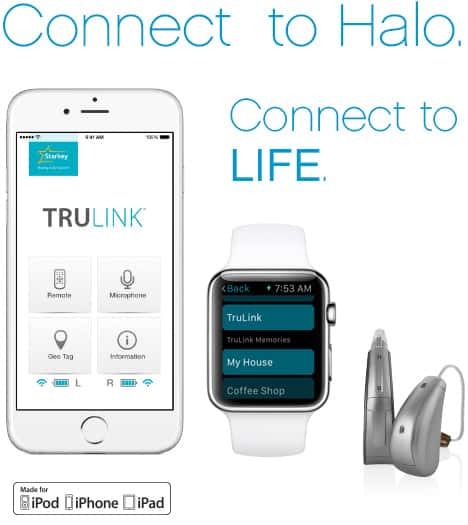 Through the TruLink App, Halo wearers are able to switch on a GPS feature to automatically record and adjust preferred settings as they move through various environments. This accessibility is coupled with a HydraShield nano-coating, perfect for diverse environments. The Siemens binax hearing aid platform is innovative on two fronts: it is the world’s first hearing aid to outperform normal hearing (based on two clinical studies) and it is a smartphone-compatible hearing aid. 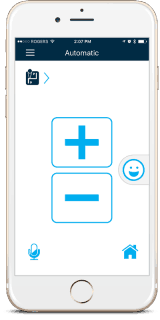 With the touchControl app and the easyTek wireless streamer, iPhone and Android smartphones are transformed into hearing aid control centers. 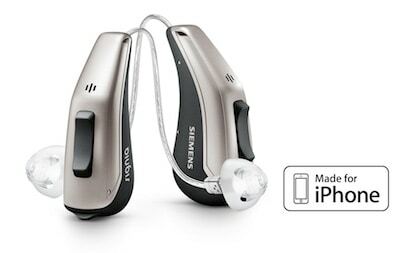 At the same time, Siemens binax wearers are able to stream phone calls, music, and other media directly from their phones to their hearing aids. The easyTek app allows wearers to turn their smartphones into amplification devices in challenging hearing environments, by activating the phone’s microphone. The Siemens binax hearing aid platform is available in many different Siemens hearing aid models, worn in styles that range from in-the-ear to behind-the-ear and designed to treat degrees of hearing loss from mild to profound.